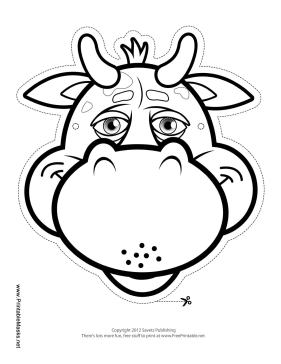 There are horns, spots, and big ears for you to color in on this bull mask. Attach the mask to your face and be sure to say "Moo!" This mask is free to download and print.